day 4001 – 166/365. odin got elected to the coop board! 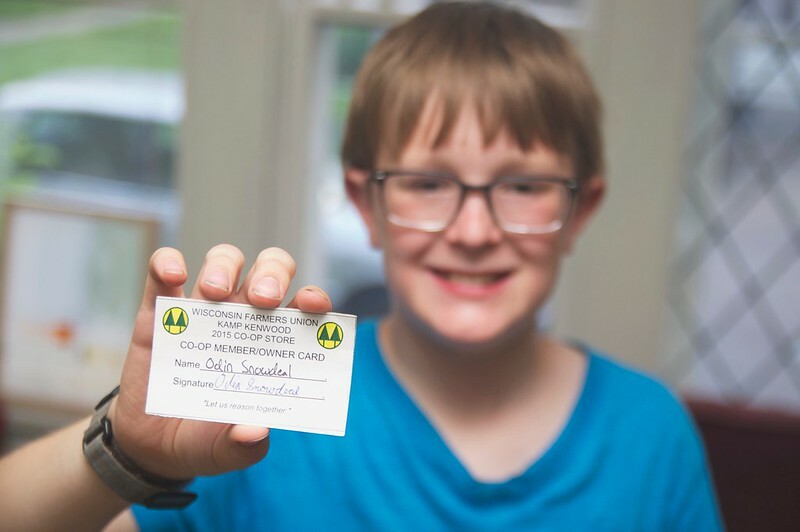 odin had his first summer camp experience at kamp kenwood which is operated by the wisconsin farmers union. we wondered if he’d miss us and if he’d have a great time. he most definitely did not miss us and most definitely did have an awesome time. in addition to all sorts of regular fun summer camp stuff, they learn about cooperatives and become members of the camp cooperative store. of course, they need a board to help oversee coop activities and odin was very excited to tell us that he was voted by his peers to be a member of the coop board of directors! it’s his first elected coop position. no word yet if he’s going to use the resume builder to run for the board of our local food coop. Previous Postday 4000 – 166/365. measuring growth over four thousand days.Next Post167/365. a polite plea.